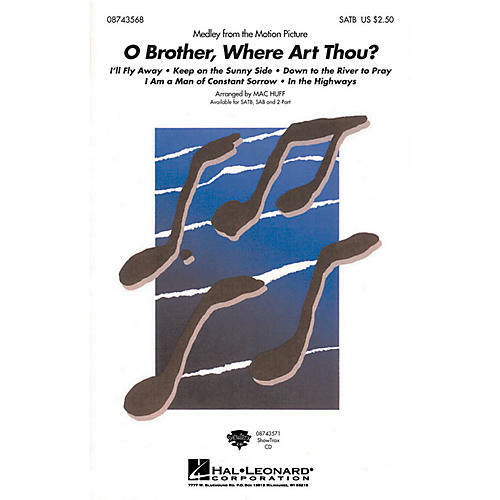 Winner of the 2002 Grammy for Album of the Year, the soundtrack from O Brother, Where Art Thou? has taken the nation by storm. This easily-learned medley will be great fun for both choir and listener. Includes: Down to the River to Pray, I Am A Man Of Constant Sorrow, I'll Fly Away, In The Highways, Keep On The Sunny Side. Available: SATB, SAB, 2-Part, ShowTrax CD. Approx. Time: 10:00.